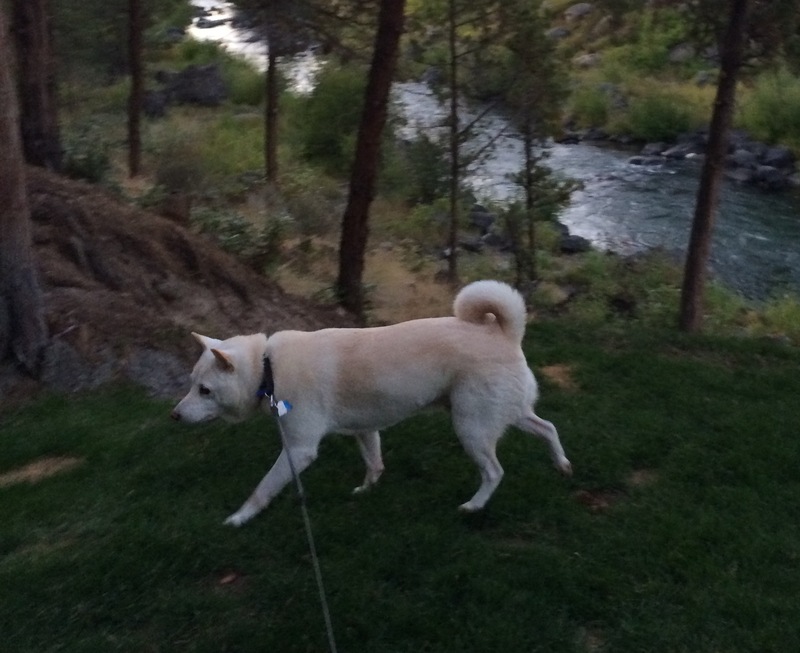 Kuma is a rare color (cream, not an official AKC color) of a fairly rare breed (Shiba Inu), and we get questions about him almost every time we walk him. He gets two walks a day, so it’s quite often! He is an amazing dog, but we do try to warn people that are captivated by his stuffed animal like appearance that Shibas can be TROUBLE. I found out about Shibas maybe 10-12 years ago, and wanted one even after researching how difficult they can be. They have cat like personalities. While very smart and easy to train, follow through is a different story. Kuma can sit, come, play hide and seek, jump through a hoop, shake, and many other things. However, if he doesn’t see a treat (and it had better be a good one), he will do none of those things. When he was younger, he escaped a few times. This is a Shiba owner’s nightmare. A Shiba does not come back when free. They run for miles and jump into traffic. Chasing a ball at the park is a pipe dream. It is just not safe at all. These little foxes cannot be trusted. I have Googled “where to buy a dog catcher’s net”. I kid you not. It’s all worth it. Seven and a half years ago I was still dog-less, and finally got the okay to go look at a Shiba. I had seen Kuma available at the local Shiba Inu rescue, Shibas4Life. I’m not sure what exactly my husband (boyfriend at the time) was thinking, because I’m pretty sure he didn’t want a dog. 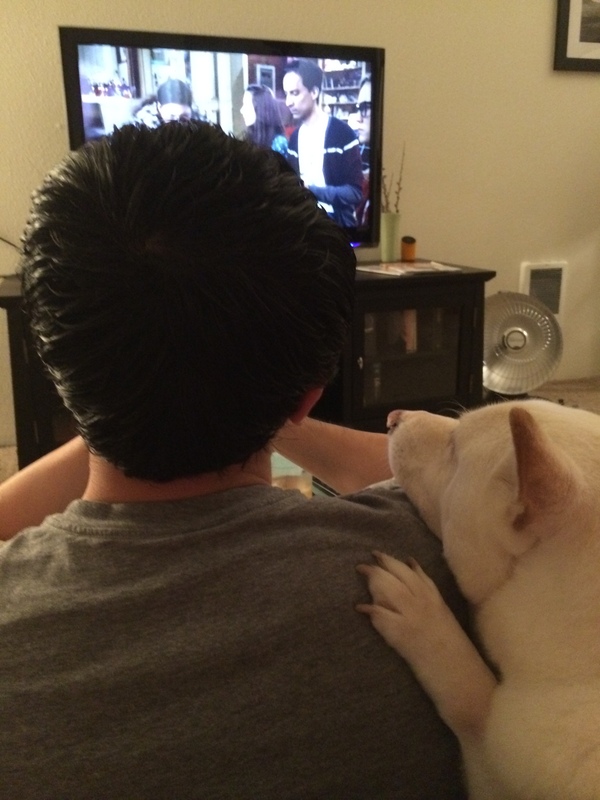 When we met Kuma, this standoffish dog crawled right into his lap. The president of the rescue said she had never seen anything like that happen before. The rescue required us to go home and think it over, but we ended up deciding he had to come home with us. Kuma has J wrapped around his little paw. I love that we got him through a rescue. We still talk about how we can’t believe anyone would give up such a perfect dog, and how lucky we got. Shibas4Life has been an amazing resource. They have answered every question I’ve ever had along the way, and that has gone a long way towards making our little fluffbear the dog he is today. Shibas are precocious and loyal, and Kuma is the best dog I could ever hope for! 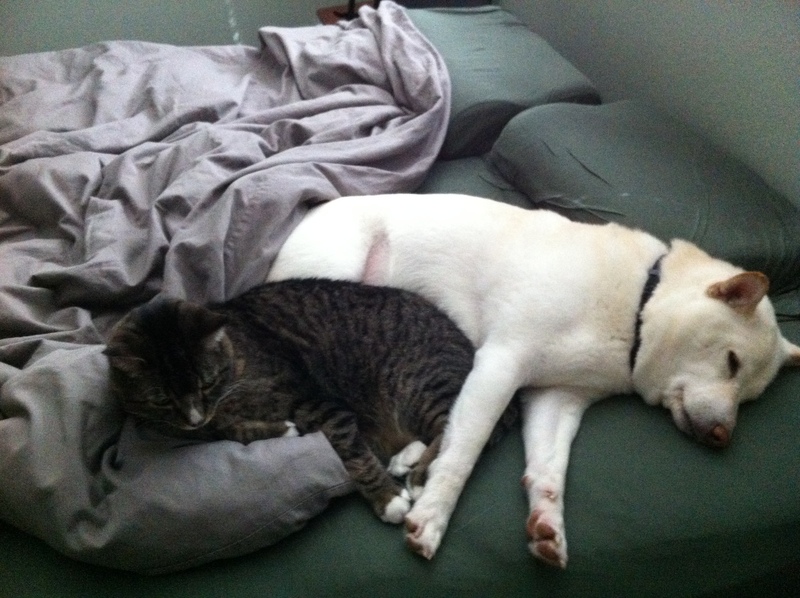 I have known many Shibas that my cat didn’t approve of, but he and Kuma were good friends. Shibas can be great with cats. He is also doing well with the puppy that we are fostering. It took him a while to warm up, but now I think he is enjoying having a young playmate. If you want to talk about Shibas or Shiba rescue, let me know!